The early V group derailleurs were a fair 200g. Sources indicate this. Outer Plate Markings SunTour V Inner Plate Markings Maeda Industries Ltd. The orignal SunTour V was introduced in 1968. 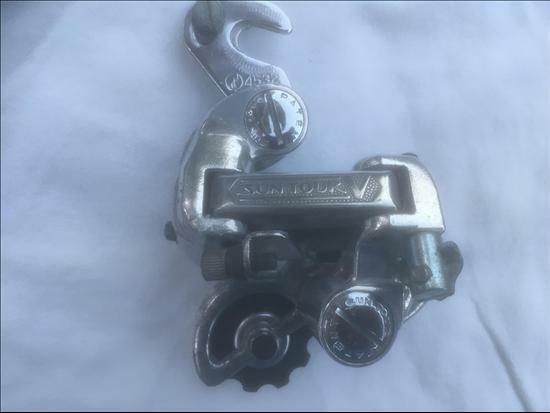 Photographed version is the 2nd known version of this derailleur. Very similar to version 3 except slotted mounting bolt and pivot blot instead of Allen bolts. It weighs at a fair 200g.